Here is how to convert airtime to cash in Nigeria using Zoranga. I feel like calling back the client now that I will accept the airtime offer. You know how busy some clients can be? If you don’t have an online payment processor on your website, you may lose a bunch of sales. 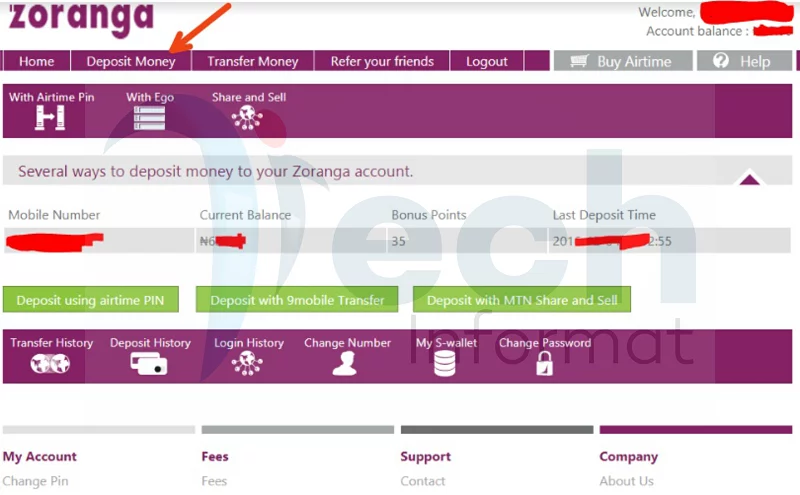 Though you can still use Zoranga to receive money from your customers in form of airtime and the airtime will be deposited in your Zoranga account which you can later transfer the cash to your bank account. If the only mode of payment you accept is direct bank deposit, then you might want to consider accepting airtime from your customers which you can later convert the airtime to cash in Nigeria using Zoranga. Some customers just don’t want to indulge in internet banking activities for the fear of falling into the trap of internet fraudsters. Most of them do not even have ATM cards. All they know is to go to the bank, make a direct bank deposit and use their cheque to make withdrawals over the counter whenever they want their money. But they load airtime on their phone and they know airtime. So if you are offering a service that requires some payments, you can accept airtime from these set of customers. Whether you want to convert the airtime you got from a client to cash or the one you got from your uncle, Zoranga is a perfect platform where you can get that done with ease. Even when you mistakenly purchase an airtime from your bank, you can convert it back to cash. I was once in that mess when I wanted to recharge my phone for my monthly data subscription. Let’s get into the real deal. Converting airtime to cash in Nigeria using Zoranga will require you sign up for an account on Zoranga.com. That is exactly how you can convert airtime to cash in Nigeria using Zoranga. Make sure you tell a friend about it.